In just a few days, sneakerheads will get their chance at buying the first pairs of the highly coveted Dragonball x Adidas collaboration. With both Goku and Frieza shoe set to release this Saturday, September 29th. October will see the release of the Gohan and Perfect Cell Adidas silhouettes. We now get our first look at what Gohan’s shoe will actually look like. 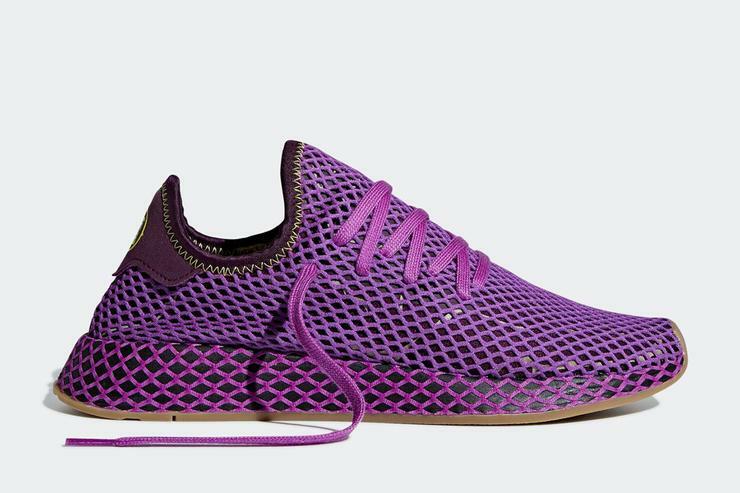 Gohan’s shoe will be based off the Adidas Deerupt. 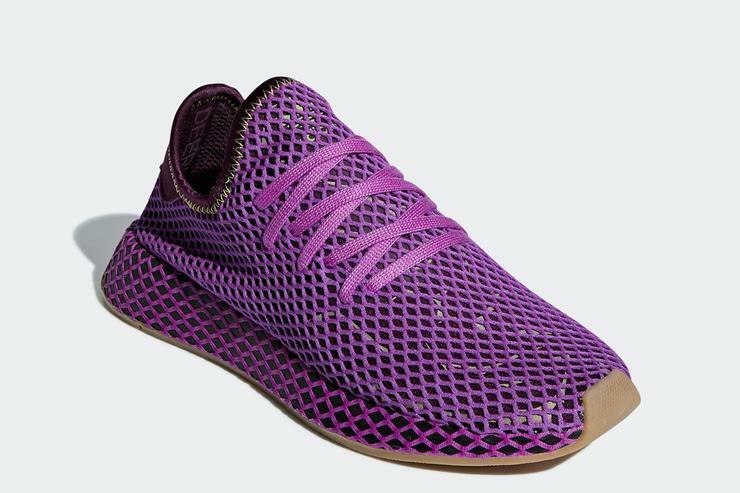 The shoe will be dressed in a purple and yellow colorway, with the purple symbolizing Gohan’s famous Gi that he obtained from his trainer Piccolo. The yellow will represent his Super Saiyan hair and will be seen on the midsole, heel, and the stitching around the ankle. 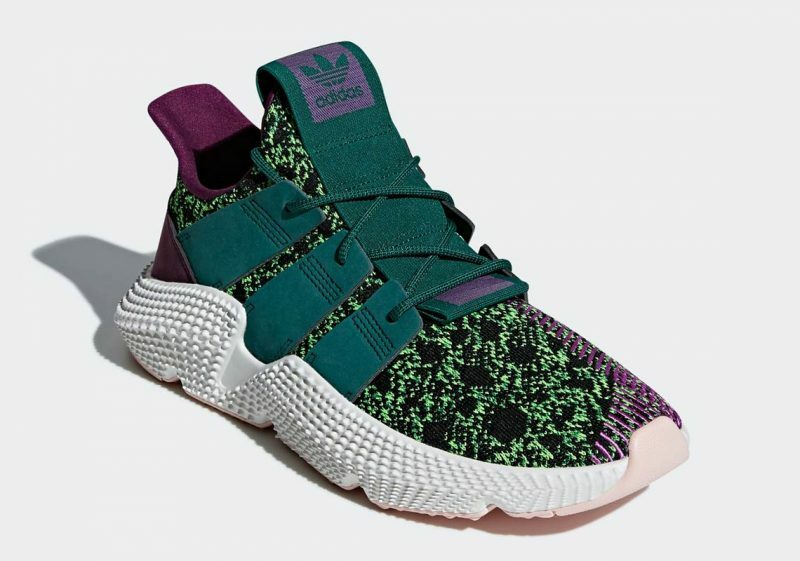 Accompanying the release of the Gohan silhouette will be Perfect Cell, which will be represented by the Adidas Prophere. 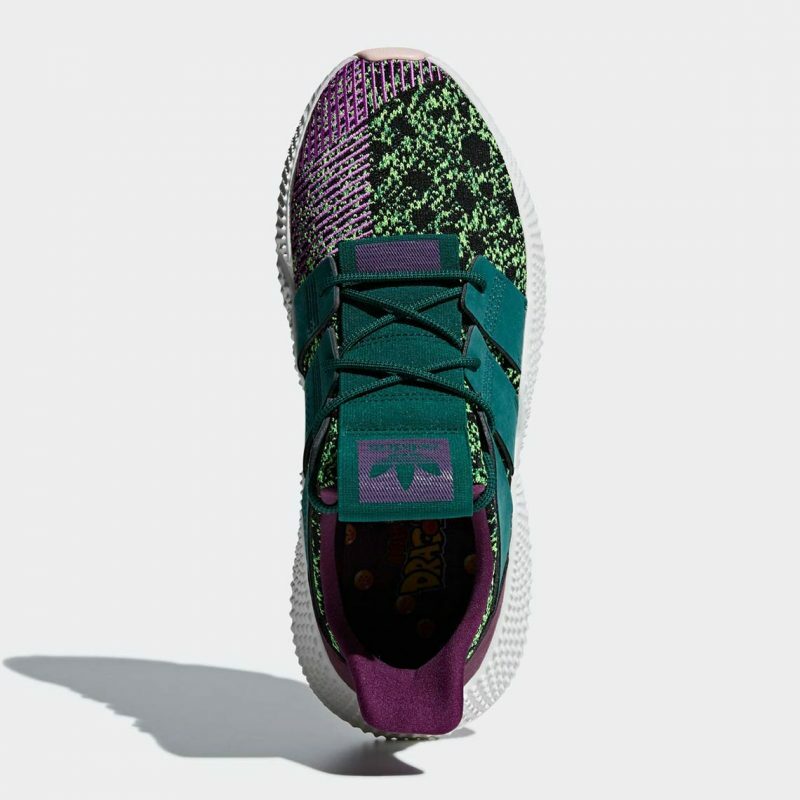 The shoe will have a knitted upper that will feature green and purple details. The thick white textured midsole will be contrasted with a pink outsole, and the insoles will be specially detailed with a Dragonball design. Fans of Dragonball know the importance of the battle that happened between Gohan and Perfect Cell. When Goku was not able to overcome the strength of perfect cell, he enlisted his son Gohan to continue the battle. It was then when we fans saw the strength and determination by this young warrior to surpass his father to become the strongest fighter at the time in the Dragonball universe. The Adidas Deerupt is the perfect shoe to represent Gohan. It’s a low top shoe that sits just below the ankle and carries a very low profile. It’s a shoe that has a seamless and straightforward design and doesn’t come with any bulk. A perfect representation of the same footwear that Gohan wore with his outfit throughout most the Dragonball Z series. 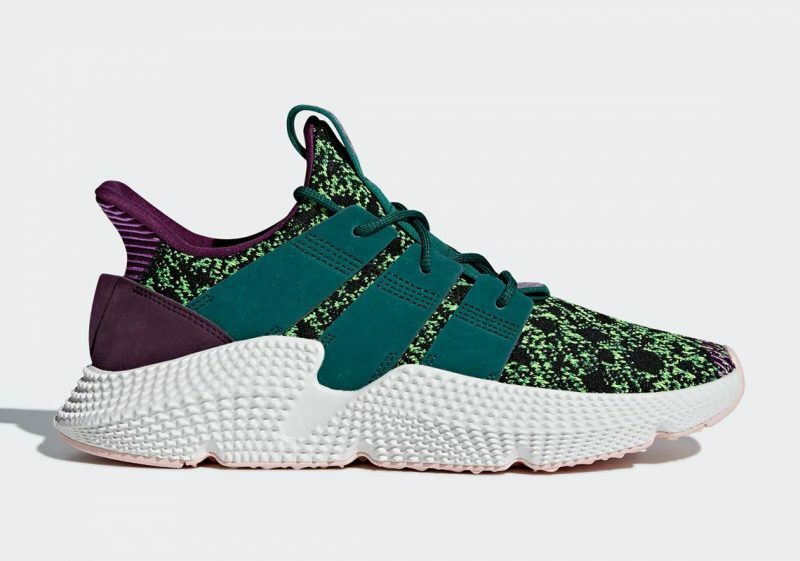 The Prophere’s somewhat bulky look can represent Cell’s numerous transformations all while the textured midsole truly embraces the menacing look that perfect cell embodied in his fight against the Z warriors. At this time there is no word on the release date of the shoes, but we can expect that the shoe will come in limited numbers just as it’s been rumored that both the Goku and Frieza shoes will be limited to just 1000 pairs.